*Fans are fabricated to your specifications and cannot be returned. Dry environments only. This finish is not warranted against rust or corrosion. cannot be plated; they can only be polished. Urban Archaeology takes apart a Hunter fan, removes the motor, sand-blasts the housing, refinishes all the visible metal parts, puts the motor back into the housing and rewires it before reassembling the unit. 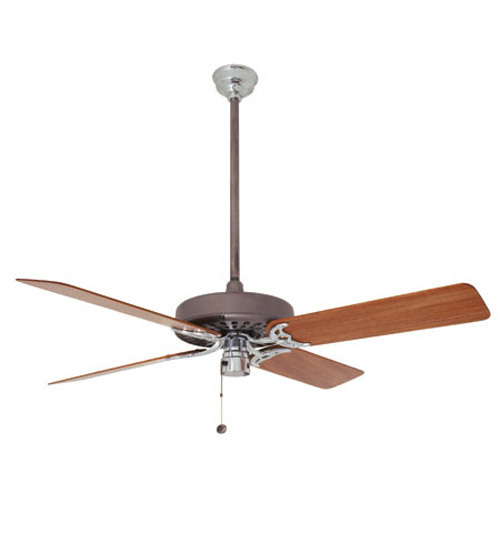 We replace the standard composite blades with hand-made, hand balanced blades made of solid mahogany and finished in your choice of light mahogany, special walnut or cherry. Other species such as cedar and teak are available upon request, call for pricing. See PDF for 52" Plated Metal pricing.